Къри – за какво се използва и защо е толкова полезно? Начало » Национални кухни » Индийска » Къри – за какво се използва и защо е толкова полезно? Кърито е смес от 5, 7, 13, а може и от повече подправки. Те са смлени. На кои ястия подхожда къри? Сигурно понякога сте се чудили на какво точно подхожда къри и дали ще върви на вашето ястие. Обикновено с къри се ароматизират сосове, ориз, различни заливки. За това има люто, сладко, мадраско къри. Разликата е в съставките и съотношението. Аз лично предпочитам по-люто къри и наскоро приготвих пикантна супа с царевица. Слагам го също понякога като приготвям риба, червена леща, индийска кухня. Последното къри, на което попаднах има изключителна хармония между съставките и комбинацията от смесените подправки в него ми допада изключително много. 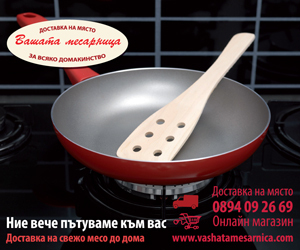 То е на австрийската марка Sonnentor и е био продукт. В състава му влизат куркума, кориандър, кимион, жълта точица на зърна, сминдух, сладък пипер, фенхел, босилек, джинджифил, розмарин, морска сол, див риган, мащерка, чесън, салвия. Реално можете да си го приготвите вкъщи, но едва ли е толкова прости да намерите всички подправки до една, а и според мен тайната е в пропорциите им. За това аз ви препоръчвам горещо да си купите готово люто къри на Sonnentor. Хубавото е, че производителите са се погрижили кърито да не загуби от качествата си след като се отвори и в кутията му има елемент, с който може да бъде затворено пакетчето. Прекрасно решение, ако нямате стъклен буркан за всяка подправка! Кърито е характерно за индийската кухня, а някои смятат, че е британска подправка. С къри се овкусяват ястия в Китай, Тайланд, Мексико. Традицията в Япония изисква да се консумира къри 125 пъти годишно. Основно се прибавя към ориз. В зависимост от това дали ще се готви месо, пиле,риба или зеленчуци се прави съответната смес, която да е букет от аромати, без да доминира някоя от тях. Когато купувате къри, то трябва да е е жълто на цвят с керемиден отенък, да не е на гранули. Съхранява се в тъмни стъклени буркани до четири месеца. Честата употреба на къри намалява риска от деменция, Алцхаймер, цироза на черния дроб, предпазва от сърдечно-съдови заболявания. Смята се, че действа като антибиотик. Спомага за усвояване на храната и пречиства от токсините. Не съдържа холестерол и предпазва от напълняване. Укрепва имунната система. Консумацията на къри загрява организма, което води до производство на по голям брой ендорфини – хормонът на щастието. 263 коментара на "Къри – за какво се използва и защо е толкова полезно?" Just wanna admit that this is very beneficial, Thanks for taking your time to write this. It?¦s really a nice and useful piece of info. I?¦m happy that you shared this useful information with us. Please keep us informed like this. Thanks for sharing. Pretty nice post. I just stumbled upon your blog and wished to mention that I’ve really loved surfing around your weblog posts. In any case I will be subscribing to your rss feed and I hope you write again very soon! Try to remember however, if in the beginning that betterscooter.com http://adf.ly/6249830/banner/www.scamadviser.com/is-betterscooter.com-a-fake-site.html can feel a bit of small-scale, it is going to exercise ultimately. Very good, best for any sort of occassion! I simply want to say I’m very new to blogging and really enjoyed you’re blog. More than likely I’m going to bookmark your website . You absolutely come with wonderful article content. Cheers for revealing your web site. I just want to say I’m very new to weblog and really enjoyed your blog site. Probably I’m going to bookmark your blog . You surely come with superb articles. Thanks for sharing your web page. I simply want to tell you that I am just all new to blogging and site-building and honestly liked this blog. Probably I’m want to bookmark your site . You really have great stories. Thanks for sharing your blog site. I simply want to mention I am just new to blogging and site-building and really liked you’re web blog. Probably I’m likely to bookmark your site . You surely come with fantastic writings. Thanks a lot for sharing your website. I just want to mention I’m newbie to weblog and seriously enjoyed your web blog. More than likely I’m likely to bookmark your blog post . You absolutely come with good articles and reviews. Cheers for revealing your website page. I simply want to mention I’m new to weblog and definitely loved you’re web blog. Probably I’m want to bookmark your blog post . You definitely come with excellent writings. Thank you for sharing with us your web site. I just want to mention I am new to blogging and seriously loved you’re blog. Probably I’m want to bookmark your site . You really come with beneficial articles. Thank you for revealing your web site. What i do not understood is actually how you’re no longer actually a lot more smartly-favored than you may be now. You’re very intelligent. You realize therefore significantly in relation to this topic, produced me individually consider it from so many numerous angles. Its like men and women aren’t involved until it’s something to accomplish with Lady gaga! Your personal stuffs outstanding. All the time handle it up! Hey would you mind sharing which blog platform you’re using? I’m looking to start my own blog soon but I’m having a tough time choosing to go with Drupal. Hello! Quick question that’s totally off topic. Do you know how to make your site mobile friendly? My weblog looks weird when viewing from my iphone4. I’m trying to find a template or plugin that might be able to correct this issue. If you have any recommendations, please share. Thank you! Thanks for the article.Really thank you! Really appreciate you sharing this article post.Much thanks again. Much obliged. Thank you for your article post.Really looking forward to read more. Keep writing. Thank you, I have recently been looking for info about this subject for a while and yours is the best I’ve found out till now. But, what in regards to the conclusion? Are you certain in regards to the supply? Nice post. I learn something more difficult on completely different blogs everyday. It will always be stimulating to learn content from other writers and follow a bit of one thing from their store. I’d choose to use some with the content on my blog whether you don’t mind. Natually I’ll give you a link in your web blog. Thanks for sharing. 2BoDUN Very nice write-up. I certainly appreciate this website. Thanks! We are a gaggle of volunteers and starting a brand new scheme in our community. Your website offered us with useful info to work on. You have performed an impressive job and our entire group shall be grateful to you. 66kSRh Very interesting subject, thanks for posting. Looking forward to reading more. Great article.Really looking forward to read more. Much obliged. The clarity in your post is just nice and I can tell you are an expert in the subject matter. Really enjoyed this article. Really Cool. Your mode of explaining the whole thing in this post is in fact good, every one be able to simply be aware of it, Thanks a lot. I value the post.Much thanks again. Keep writing. I appreciate you sharing this post.Really looking forward to read more. Thanks a lot for the blog article.Really thank you! Really Great. Is not it superb any time you get a fantastic submit? Value the admission you given.. Fantastic opinions you might have here.. Truly appreciate the blog you provided..
You made some really good points there. I checked on the net to find out more about the issue and found most individuals will go along with your views on this web site. This awesome blog is without a doubt entertaining and also factual. I have discovered a lot of useful advices out of this blog. I ad love to come back every once in a while. Thanks a lot! There is apparently a lot to know about this. I consider you made various good points in features also. Im thankful for the article post.Much thanks again. Cool. Muchos Gracias for your blog post.Thanks Again. Awesome. Enjoyed every bit of your blog. Great. I wanted to thank you for this fantastic article, I certainly loved every small bit of it. I have bookmarked your web site to look at the newest stuff you post. This blog was how do you say it? Relevant!! Finally I ave found something that helped me. Thanks! Muchos Gracias for your blog.Thanks Again. Awesome. Im thankful for the post. Want more. This awesome blog is definitely entertaining and informative. I have discovered a lot of handy advices out of this amazing blog. I ad love to return over and over again. Thanks! Looking forward to reading more. Great article.Really thank you! Much obliged. Thanks a lot for the blog post.Really looking forward to read more. Thanks-a-mundo for the post.Really looking forward to read more. Cool. Im grateful for the blog article.Really looking forward to read more. Cool. I loved your article. Great. I simply want to say I am just very new to blogging and honestly savored you’re blog. More than likely I’m planning to bookmark your blog post . You really come with beneficial posts. With thanks for sharing with us your webpage. I really liked your article.Really looking forward to read more. Great. I simply want to say I am beginner to weblog and really liked this blog site. Very likely I’m going to bookmark your blog post . You definitely come with impressive writings. With thanks for revealing your blog. Do you mind if I quote a couple of your posts as long as I provide credit and sources back to your webpage? My website is in the exact same niche as yours and my visitors would genuinely benefit from some of the information you present here. Please let me know if this ok with you. Thank you! I am so grateful for your article post.Thanks Again. Really Great. This is the type of information I ave long been in search of. Thanks for posting this information. Im obliged for the blog post.Really looking forward to read more. Thanks for the good writeup. It actually was a enjoyment account it. Glance advanced to more brought agreeable from you! However, how can we be in contact? I value the blog.Thanks Again. Cool. Thanks again for the post. Great. I really enjoy the article. Really Cool. Pretty! This has been an incredibly wonderful post. Thanks for supplying this information. We are a bunch of volunteers and opening a new scheme in our community. Your site offered us with helpful info to work on. You have performed a formidable task and our whole group can be thankful to you. Very interesting information!Perfect just what I was searching for! Charity is injurious unless it helps the recipient to become independent of it. by John Davidson Rockefeller, Sr.. Very good blog.Much thanks again. Really Great. You made some decent points there. I did a search on the topic and found most persons will approve with your site. you may have a terrific weblog right here! would you prefer to make some invite posts on my weblog? Thanks , I have just been searching for information approximately this topic for a long time and yours is the best I have discovered till now. But, what about the bottom line? Are you certain concerning the supply? Thanks for your publication. One other thing is that individual states in the United states of america have their own laws of which affect people, which makes it extremely tough for the the nation’s lawmakers to come up with a brand new set of recommendations concerning home foreclosure on home owners. The problem is that a state has got own laws and regulations which may have interaction in an undesirable manner with regards to foreclosure guidelines. Thanks a lot for the article post.Thanks Again. Awesome. I was very happy to find this web-site.I needed to thanks on your time for this wonderful learn!! I undoubtedly having fun with each little bit of it and I have you bookmarked to take a look at new stuff you weblog post. Thanks a lot for sharing this with all folks you actually recognise what you’re speaking about! Bookmarked. Kindly additionally seek advice from my web site =). We could have a link change arrangement among us! Отказах се да чета написаните на тъпия английски език! Тук БЪЛГАРИ няма ли?